Could Securitization Democratize Solar Power? After Wall Street popularized the term “mortgage-backed securities” in their destruction of the economy in 2008, you could be forgiven for thinking “solar securities” are a pyramid scheme. But in truth, they may hold the key to democratizing the financing and the ownership of distributed renewable energy. Right now, financing solar typically means looking for a “tax equity” partner who will provide some upfront cash to build a solar array in exchange for helping to use the federal tax incentives for solar. These are business deals, and the tax equity folks may demand a 30% return on their equity (or more). This means a higher price for solar power that has nothing to do with the cost of producing electricity and everything to do with poor policy design. But what if a solar developer could borrow money at 6% interest instead, and the savings would be so significant that they could even forgo the federal tax incentives and still produce cheaper electricity? Enter solar securities (hat tip to Jesse Morris at RMI for this idea). The basic idea is that a solar project (or any distributed renewable energy project) is a highly reliable source of revenue for a long period of time, e.g. 10,000 kilowatt-hours per year for 25 years, worth 15 cents per kWh. If you had a certificate for the value of this electricity (a security) and bundled hundreds of them together, you’d have an investment-quality product backed by a diverse number of solar energy projects, all with high likelihood of paying out. Millions of institutional investors and even ordinary Americans put their money in mutual funds every year, comprised of stocks and bonds and many other financial instruments. And many are looking for a low-risk, low-reward instrument, like a solar security. Instead of Goldman Sachs, think TIAA-CREF. Here’s why it could help the solar market, a lot. 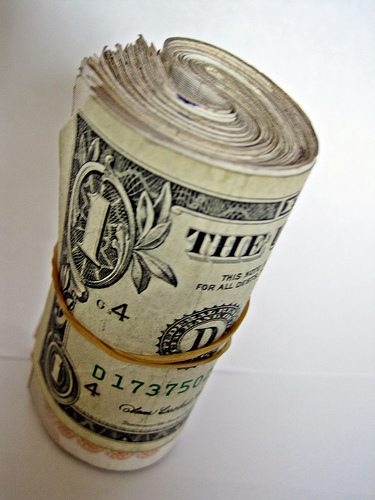 Many renewable energy project owners are unable to use tax incentives (e.g. cities, schools, nonprofits) or limited in their capacity to do so. The renewable energy market is constrained by the number of tax equity players and the depth of their pockets. Tax equity is expensive compared to the rates of return for mutual funds or bank debt. 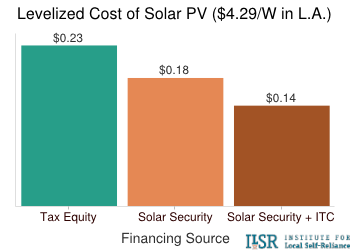 By offering much cheaper financing that is not reliant on tax incentives, solar securities could exponentially increase the available capital for solar financing while simultaneously blowing up the single biggest roadblock to community-based solar energy. Solar security financing can lower the cost of solar by nearly 25% even when giving up the 30% federal tax credit. This could be an enormous boon for public entities like schools and city buildings that would like to go solar but often can’t make projects pencil out without federal tax incentives. If, as Morris mentions in his original post, financiers can combine the tax credits with solar security financing, it could nearly halve the cost of solar power. (note: my figures differ from his because I calculate the levelized cost (no profit) rather than the cost of solar with a return on investment for the solar project developer). The financing model doesn’t just lower costs, but could pour billions of additional dollars into the renewable energy financing market and particularly could lower financing costs for small projects by bundling their value. There’s some evidence that simplifying financing could have big returns. 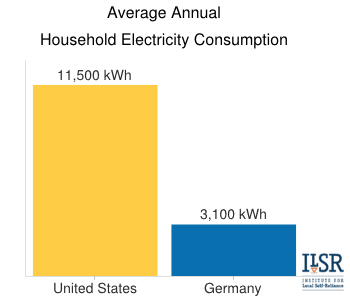 Germany provides very simple low cost financing with its feed-in tariff and pays significantly less for solar power (when adjusting for the solar resource quality) than we do in the U.S. A well-regulated solar securities market could put a big dent in the cost of U.S. solar while simultaneously expanding the opportunity for local ownership. Note: I just came across this analysis that suggests securitization for solar is not yet an easy sell.